I have noticed the water level in my brine tank creeping up over the past several weeks. This morning I looked and it was very close to overflowing...yikes! I haven't done any troubleshooting yet and was wondering if there is any information available to help troubleshoot the cause of this fluid level change. does it have a model number ? Hi, thanks for your fast reply. 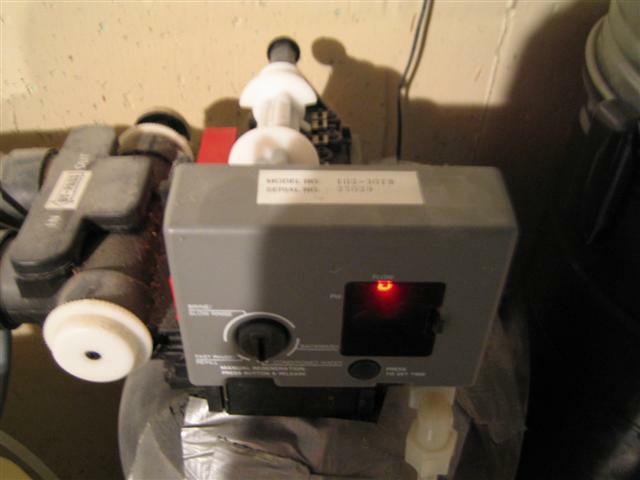 I believe I have a Model 168 Autotrol valve with 460i timer. I just found my original paperwork and it looks like I should be checking the "injector" & "screen". From the diagram in my manual it doesn't look to be too terrible of a job. Am I on the right track, what do you think ? P.S. Sorry for the poor quality photo's, I should have checked before posting them. does this unit have a float chamber tube that sits in the salt tank ? It doesn't look like it. What I have is a grey tube that goes down into the salt tank. This tube (if I remember correctly) attaches to a larger plastic piece that sits at the bottom of the salt tank which I suspect may contain a ball valve of some sort, possibly to prevent air from getting into this line once all the brine has been drawn out of the tank. My tank is full with water and salt so I haven't attempted to remove this line yet. I'm trying to figure out the best way to remove the salt water in the tank then chip out the salt to get this line out so I can have a better look at it. does the water in the brine tank get any lower ? Thanks for the picture! That rebuild kit may come in very handy if need be. I did put the system into manual re-gen for about 1/2 an hour but the water level in the tank wouldn't budge. I cracked the fittings on the line that goes into the salt tank while it was in manual re-gen and the air bubbles that I introduced did get drawn into the valve so I'm thinking maybe my injector or screen might be dirty and preventing me from getting full suction. I'm going to sleep on it and try again in the morning. Thanks again for all your help. the thing that bothers me is , how does your system know how much water is in the tank ? Good News everyone! I tried setting the valve to the center of the "Brine/Slow Rinse" setting which seems to occur about 1 hour into a normal cycle. I had the timer unplugged and left it in this position for 1 hour and no change in the level of the salt tank. 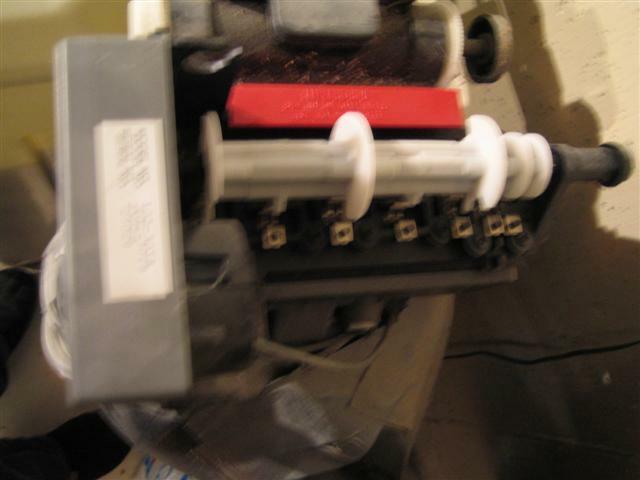 I then bypassed the softener, depressurized by opening all the valves using my finger or small screwdriver and removed the filter, injector and cap assembly. The filter was plugged with what looked like a ball of rusty very fine fibers ?? I cleaned everything as well as I could, greased the o-rings and reassembled. I tested the system and it is now drawing the brine from the salt tank and after a full run of the cycle (about 2 hours) the salt tank level is back to normal . I am not sure where this rusty stuff is coming from but I will re-check the filter & injector again in a couple of weeks to see if it has returned. Thank you again for all your help, Happy Holidays and God Bless. plugged with what looked like a ball of rusty very fine fibers ?? Them there is the resin beads from the filter media in yer tank (resin bed). Could be an indication that a seal is failing in the valve. Look carefully in your salt tank to see if this resin is present, as it would be drawn up each brinedraw cycle, the media bed tank sometimes cracks and leaks into the larger tank. If it works, great but keep yer I on it as the problem may reoccur - if the resin is leaking from the inner tank forget it as it's time to go shopping (if you wanna have soft water). Many thanks for the great advice. The salt tank looks clean right now but I'll be sure to keep an eye out. If it does come to shopping for a new unit are there any words of wisdom you can share?